PRINCETON, N.J. - July 6, 2017 - PRLog -- The Inside Baseball Coaches Clinic January 11 to 13, 2018 will feature presentations by the nation's top coaches including Troy Cameron of St. Thomas Aquinas High School as well as Michigan, Long Beach State, Virginia, Vanderbilt, Cal State Fullerton, and many more. Industry experts from Baseball America have called our coaches "some of the brightest minds in the game today." We are featuring 15 renowned coaches who will be presenting over 60 powerful and insightful talks covering in-game coaching, pitching, hitting, fielding, speed, arm care, functional strength, mental edge, and much more. This 3-day event will be held at the Crowne Plaza Princeton in Plainsboro New Jersey. Registration is now open to high school coaches, assistant coaches, baseball players, as well as students under age 18. We also are offering exclusive Exhibitor and Sponsorship opportunities. Troy Cameron has been the Head Baseball Coach at the perennial sports powerhouse, St Thomas Aquinas High School, for the last 5 years. His journey has come full circle since he played baseball himself at St Thomas in 1993. Troy was a 4-time Varsity lettermen in baseball before. While in high school, Cameron was selected twice as a pre-season All American, two-time Sun-Sentinel player of the Year, and 1997 USA Today All American Team. In 1997, he was drafted by the Atlanta Braves in the 1st round (29th overall) in the Major League Baseball Draft. 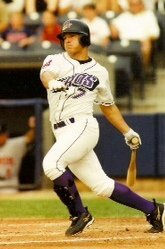 Over the next 9 years, Troy played for 5 organizations: Atlanta Braves, Cleveland Indians, Colorado Rockies, Chicago White Sox, and the San Diego Padres. He also spent some time in Independent ball playing for the Camden Riversharks in the Atlantic League. Since his taking over as the Head Coach at St Thomas Aquinas, Troy has been voted Coach of the Year by the Umpires association. He was also voted Coach of the Year for 8A district 14 for five years in a row and was selected to be manager of the South Team in the Florida State HS All Star team. During the summer, Troy will serve as the 15u USA National Team assistant coach for the Pan Am Games in Cartagena, Colombia August 10-20 2017. Learn firsthand baseball insights from legendary Troy Cameron. Registration now open at http://www.insidebaseballcoachesclinic.com/events/2018-in... (http://www.insidebaseballcoachesclinic.com/events/2018-in...). For more information, call (973) 921.0400 today!